While we have touched on Neds smartphone services and navigation in our Neds review, we’ll go into further depth here to outline the strengths and weaknesses of the smartphone betting tools. The Neds app is available to download directly from the Apple App store or as a non-market app for Android devices. To download these different apps you need to follow slightly different processes. STEP One – Here we need to make sure that you have non-market apps allowed. Visit settings on your mobile phone or tablet. STEP Two – Find the security settings. STEP Three – Look for unknown app sources and make sure that they are allowed. STEP Four – To download the Neds Android app open or sign into your account. Then visit the menu of your new account and visit mobile. STEP One – Create or sign into your Neds.com.au account. STEP Two – Visit the Apple store and download the Neds app for free. On all modern smart phones it is possible to create a web app and this includes Neds. A web app is basically a short cut on the desktop of your mobile which will allow you to quickly visit the Neds mobile website instantly. Essentially the Neds apps are just a software download of the website, so you are only loading the data that is required to make it current. With a web app you are also downloading the website, meaning theoretically it should be slower. The iOS app for Neds was launched in conjunction with the desktop website and, like its desktop counterpart, is optimised for ease of use and quick, effective access to betting markets. The new Neds iPhone and iPad app is free to download, features a stark colour theme that makes it easy to see odds and a solid tool for multis and live sport betting. There are quick links available to the big races and sporting events of the day/week and it’s strength lies in the fact that you can navigate to any bet you’d like to make in two taps. For more specific searching, you can click to expand the menu in the top left hand corner and browse through the multitude of options. There are also clear options to contact Neds, live chat with a customer service rep or look at the FAQ. 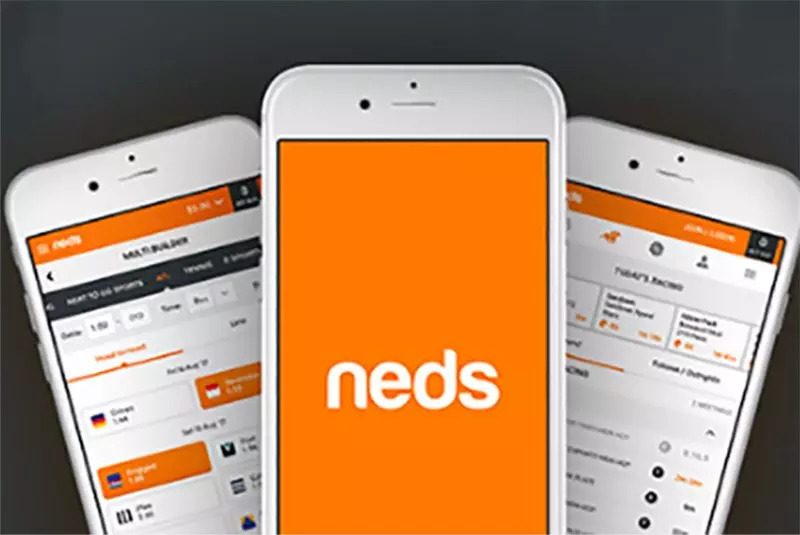 While other bookmakers like Sportsbet took more than five years to release its Android app after the initial release of its iOS one, Neds has delivered its Android option on day one. Like its iOS counterpart, the Neds Android app boasts the same easy design – offering all of the big racing and sports markets of the day immediately on the home page, while making other live markets and futures markets easy to find after accessing the menu in the top right corner. Like the iOS app, the Android app is free to download, makes depositing and withdrawing quick and easy and comes with all the bells and whistles you’d expect. The Neds mobile browser website, easily found on safari for iOS or any Android internet explorer, operates at a quick speed and is one of the most impressive of its kind that we have seen in the online bookmaker industry. Essentially, the mobile browser site operates the same way as the iOS and Android app – offering the same features and navigation. We can recommend that you download the app for ease of access, but if you’re using someone else’s phone or for whatever reason the app is not working, the mobile browser site will step up and fill the breach. All Neds apps use secure deposit options that have been approved by Australian gambling and retail standards regulators. Punters can use Visa, Mastercard, POLi and BPAY to deposit and once they have made a withdrawal, their winnings will be sent to the nominated bank account within 24 business hours. In addition to these methods, on desktop you can also make direct bank transfers. Neds makes depositing easy via their app, but not so easy that you can accidentally deposit more than you initially planned.